© 2016 Diversified Communications. All rights reserved. Seafood restaurants – and those that serve seafood – are expected to perform well in both the United States and the United Kingdom in 2017. “Right now, consumers should be in a pretty good place, with regard to the economy. All of the indicators, including unemployment, are trending positive,” Darren Tristano, president of foodservice research and consulting firm Technomic, told SeafoodSource. As a result, spending at higher-end restaurants that serve seafood will rise, Tristano said. In addition to an increase in consumer spending, United States businesses will have increased expense accounts and take clients out to dinner more. Restaurant chains like Ruth’s Chris, Fleming’s and other upscale chains are expected to perform well, according to Tristano. “Steakhouses will continue to pick up, and seafood will do well in the steakhouse format,” he said. In addition, “more polished casual restaurants” such as Bonefish Grill and Legal Sea Foods will also thrive, Tristano said. In the U.K., eating seafood in restaurants is also expected to rise, as consumers dine out more and seek healthy, sustainable seafood. Over the last year, seafood servings in U.K. restaurants increased 2.3 percent to 979 million, as restaurant visits also grew 1.5 percent, according to NPD Group – Crest in the U.K. The biggest trend affecting seafood served in restaurants is sustainability, Tristano said. The health, ethical and environmental attributes of meals are increasingly important to consumers, according to one of NPD Crest’s top five foodservice trends for 2017. “Sustainability is here to stay – and it will continue to increase [in importance to consumers],” Tristano said. Consumers will continue to seek out seafood for its health benefits, according to Tristano. “For example, you can have Chilean sea bass at one end and tilapia at the other end. Or, in addition to Chilean sea bass, you can add in bluegill and other types of striped bass. You can get it down to an area that is more affordable and approachable for consumers,” Tristano said. Seafood at restaurants is already becoming more approachable, thanks to fast-casual restaurants that are performing well, such as Luke’s Lobster and Rubio’s Coastal Grill. Even quick service seafood chains such as Captain D’s are performing well, according to Tristano. The types of seafood dishes that will perform well in 2017 include sushi, sushi burritos, poke and calamari, “a product that is becoming more approachable,” Tristano said. Up-and-coming sushi burrito restaurants in the U.S. include Sushiritto in New York and San Francisco, Chicago-based Sushi Burrito and SeoulSpice in Washington, D.C. Restaurants must provide different delivery options (potentially use a delivery aggregator) to complement the traditional sit down format. To maintain sales growth and consumer engagement, outlets must deliver a great experience, with a choice of quality meal options. Consumers are interested in buying locally-sourced food. However, they will not accept lower quality. Consumers like variety but they do enjoy their traditional favorites with a fresh twist. © 2015 American City Business Journals, Inc. All rights reserved. Even those of us most bullish on downtown St. Petersburg are inclined to pause when we look at the upper level of Sundial, with its two big swanky restaurants — Sea Salt and Ruth’s Chris Steak House, totaling 22,000 square feet — with relatively high price points. What manner of rose-colored madness has infected our once-sleepy town, we wonder? A couple of national restaurant consultants with considerable knowledge of the Bay area dining scene don’t think anyone’s gone wacko, as it turns out. 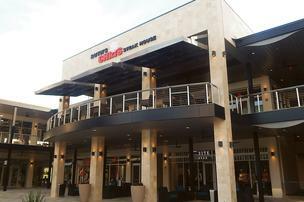 Two large-footprint eateries at Sundial fall in line with several nationwide trends. Orlando-based restaurant consultant Aaron Allen figures that, based on square footage, the two restaurants must do about $12 million combined in annual sales to be viable. Sea Salt and Ruth’s Chris are not so much fine dining, he says, as “polished casual,” which accommodates larger footprints, customer capacities and check averages. That category, along with lower-priced “fast casual,” are two of the most robust restaurant segments. The new operators are confident in the continuing growth of the downtown residential and office markets. Plus, “I’ve discovered that there is a huge group of people downtown, retired or financially well off, that go out spending nearly every night,” Spetrini said. You are currently browsing the archives for the Upscale Dining category.